The transfer window might be closed, but the rumours keep ticking. As always, Transfer Talk has the latest and greatest. Despite the Premier League season being less than two months old, Chelsea have already taken a decision on on-loan striker Radamel Falcao. According to the Mirror, Chelsea have determined that they're unlikely to make the Colombian's loan deal permanent. 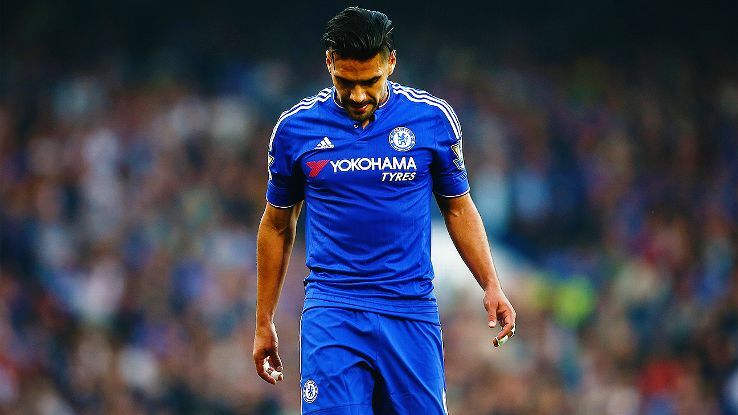 It looks like Radamel Falcao may be in the midst of another failed Premier League loan experiment. Falcao has scored just one goal in nine competitive appearances this season for the defending Premier League champions. This comes on the back of an unsuccessful loan spell at Manchester United last season, in which he scored four goals in 27 appearances. Despite sealing a €60 million move to Monaco from Atletico Madrid, Falcao has spent just a single season at the Stade Louis II. He still has two years remaining on his contract, but it's unclear whether Falcao will return to the Ligue 1 outfit or seek another loan away from the principality. Barcelona have pulled out of the race for Celta Vigo star Nolito, the Mirror cites Catalan publication Sport as reporting. According to the British publication, this plays into Arsenal's favour. With Danny Welbeck missing for the foreseeable future and the likes of Joel Campbell receiving minutes, the Gunners' attack borders on threadbare. Barcelona pulling out of the chase for Nolito's signature would appear to give Arsenal the upper hand. The Mirror reports that Arsene Wenger could make a move for the twice-capped Spanish international as soon as January. In case you were wondering if Jose Mourinho might turn tail and run with Chelsea sitting 16th in the Premier League table ... fat chance. Jose Mourinho spoke to the media following his side's 3-1 loss to Southampton, and addressed any rumours concerning his resignation. Rojo not a Red for much longer? It's been 54 weeks since Marcos Rojo made his Manchester United debut after signing from Sporting Lisbon, but it seems the Argentine may have already worn out his welcome. After missing out on United's preseason tour of the U.S. because of passport issues and failing to disclose a hamstring injury this season, one could understand why. According to the Sunday People, Zenit St Petersburg are prepared to offer the Argentine an Old Trafford exit in January. A move to Russia likely wouldn't be such a shock for Rojo, who spent 18 months with Spartak Moscow between 2011 and 2012.